By Mustaza Mustafa in Internet. Updated on November 6, 2018 . If you have an email account, chances are, you are already subscribed to dozens of email newsletters from multiple sources, be it a forum, Twitter, Facebook or any other company or service. This whole deal with email subscription is a mess. If you don’t log into your email account for a week, the first thing you would do when you can is probably to select all these newsletters and delete them in one go, won’t you? Managing your subscriptions can be a struggle but it doesn’t have to be. In this article, we will show you how you can do this with a web app called Unroll.me. 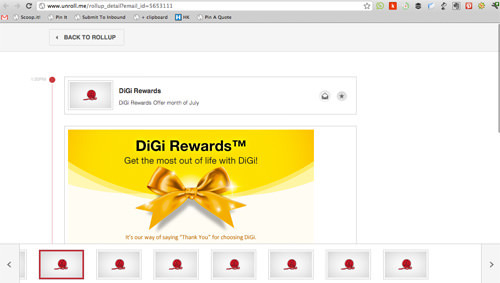 To easily manage all of your email subscription, go to the Unroll.me homepage, select your email provider and click Go. 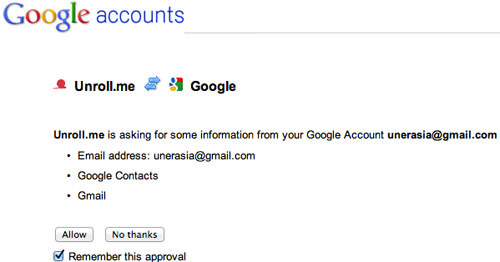 You will be prompted to allow Unroll.me access to your Google account, click Allow. Once access is given, you will see the homepage of Unroll.me and the first thing it will do is to scan all of your email subscriptions. 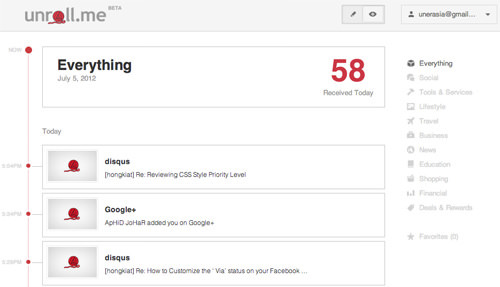 Once you are in the homepage, you will see a list of your email subscriptions presented in a vertical timeline. 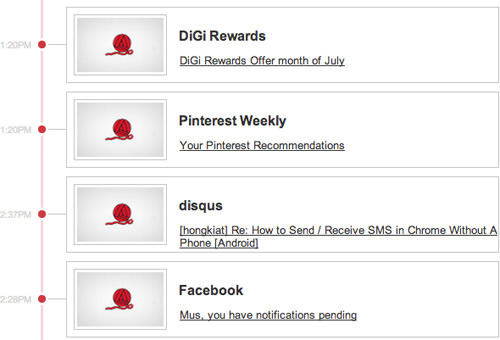 In the email, you will find all your subscription emails listed with details. Just open the email to check your newsletters. Click on the list to open each newsletter. You will be redirected to Unroll.me website with the content of the email. 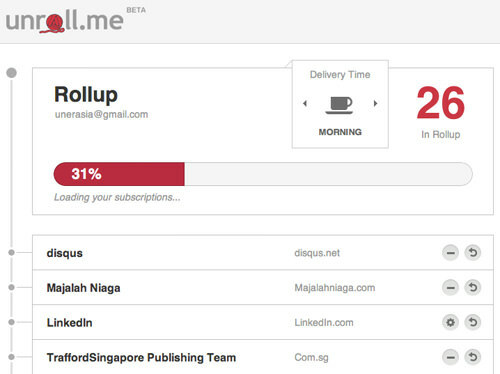 At the Unroll.me homepage, look for ‘Delivery Time’ and you can change this to receive the compiled email at your preferred time. 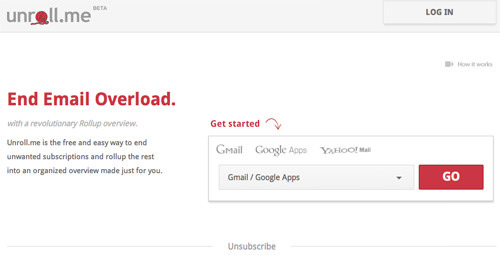 You can easily unsubscribe to any email subscription. To do this, just click on the Unsubscribe button. 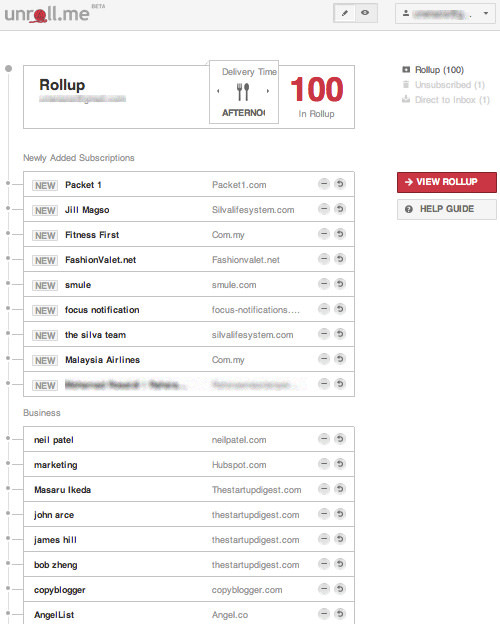 To have the email newsletter sent directly to your inbox (not using rollup), click the ‘return’ button. 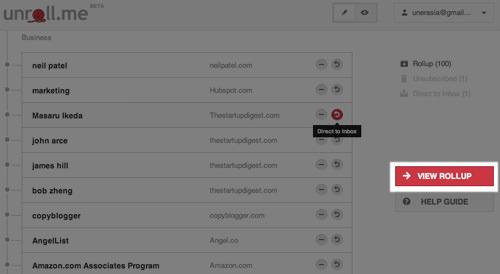 In the default page of Unroll.me, you are in edit mode where you can set to unsubscribe from a newsletter, or send the email directly to your Inbox. To view the Rollup at any other time outside its scheduled delivery, head over to the homepage and click on the View Rollup button. The Rollup is the same copy of what you will receive in your inbox, but this one has an extra ‘Category sidebar’ on the right, where your entire newsletter has been categorized automatically following the subject. Simply click on any email to read, or click on the category to find email in the relevant topic. Now with Unroll.me, you can skip managing your email subscription one by one from your Inbox, and you can edit every subscription at once from one simple homepage. Have you tried this yet? I find it very useful, what about you?